Mark Sutherland is the new Editor of music business bible Music Week, having stepped up from the Contributing Editor role at the start of 2016. Founded in 1959 under the name Record Retailer, Music Week has been at the forefront of the music business for over half a century. It remains a respected voice and valued source for news, data, analysis and opinion of the global music business scene. Mark has been writing about music and the music business for over 20 years, starting out producing his own fanzine before moving on to legendary pop magazine Smash Hits. 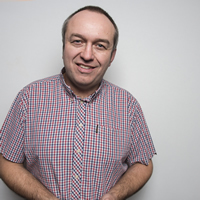 He helped chronicle the Britpop years via senior editorial roles on music weeklies NME and Melody Maker, was part of the launch team for pioneering radio station BBC 6 Music and spent four years running Billboard's international operations as Global Editor. He also writes for the likes of Rolling Stone, Q, Kerrang! and the Telegraph.